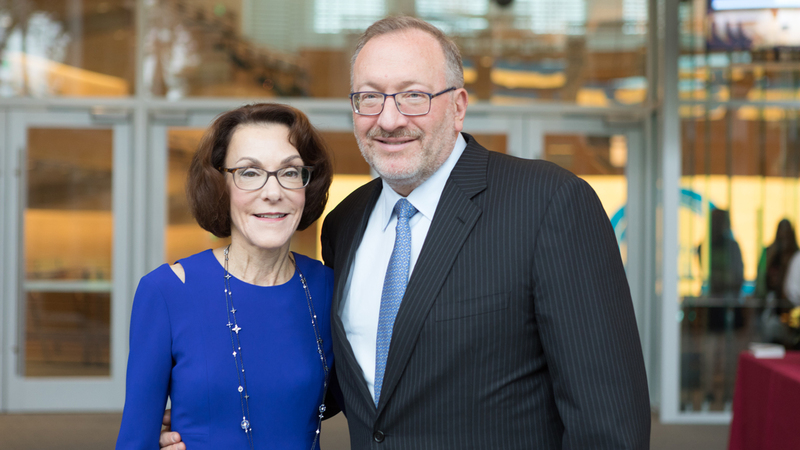 Klarman Hall was made possible through a generous gift from Seth and Beth Klarman. 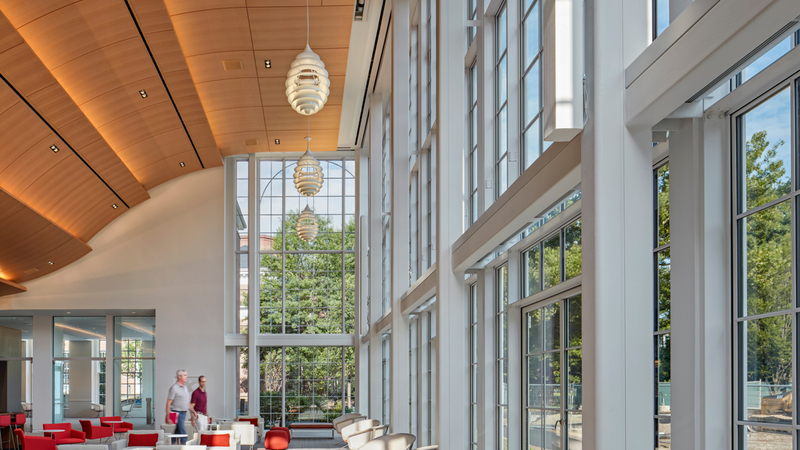 Located next to the Spangler Center, Klarman Hall was designed by William Rawn Associates and built by Walsh Brothers Construction. The contemporary brick, stone, and glass façade of the building evokes the Georgian-style architecture of the 1927 McKim, Mead & White campus design. The 81,000-square-foot structure has two stories, with an additional below-grade concourse. Pathways and green spaces around the building complement the site, designed by landscape architects Reed Hilderbrand, LLC. Seth Klarman (MBA 1982) is the CEO and portfolio manager of the Boston-based Baupost Group, one of the most successful investment partnerships in the world. Beth Klarman is President of the Klarman Family Foundation. Both Klarmans are members of the HBS Board of Dean’s Advisors. In 2011, Seth received the HBS Alumni Achievement Award, the School’s highest honor. Seth joined the newly launched Baupost Group shortly after graduating from HBS in 1982. The low-profile CEO attributes Baupost’s success to a steady focus on clients’ best interests, the cultivation of a collaborative environment of mutual respect, and a style of value investing that “requires deep reservoirs of patience and discipline.” He is the author of the classic 1991 investment book, Margin of Safety: Risk-Averse Value Investing Strategies for the Thoughtful Investor. A dynamic and engaging exchange of ideas among students, faculty, staff, alumni, and leaders of organizations from across the globe has long been a hallmark of the learning environment at Harvard Business School (HBS). 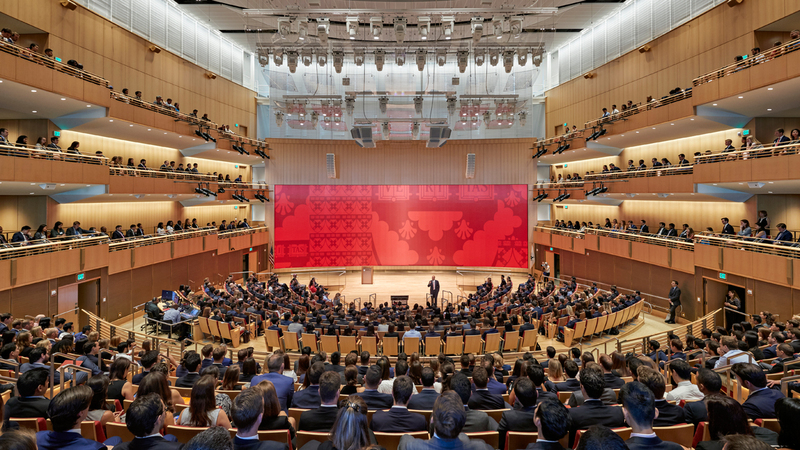 In keeping with this tradition, Klarman Hall provides a world-class convening venue designed to welcome event participants and instill in them the imagination, motivation, and skills to transform ideas into action at HBS, throughout Harvard University, and far beyond. 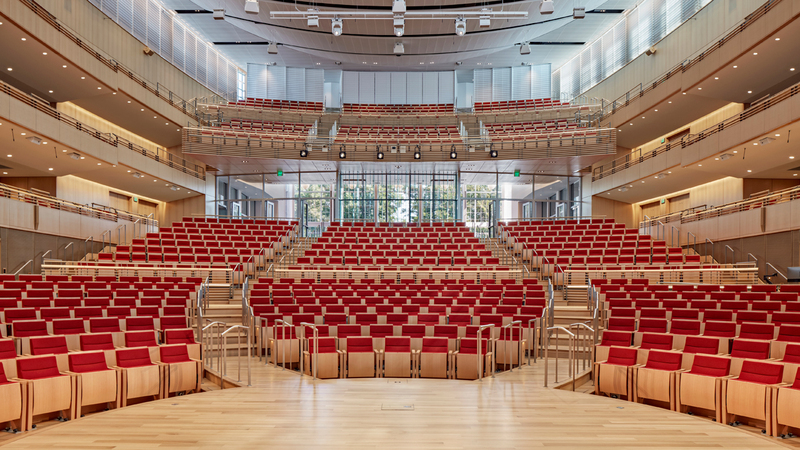 With its 1,000-seat auditorium, soaring atrium, and spacious corridors, Klarman Hall combines the elements of a large-scale conference center, performance space, and community forum where HBS can host the thousands of students, faculty, staff, alumni, and other visitors who take part in hundreds of campus activities each year—from research symposia and conferences to cultural events and performances such as the HBS Show. 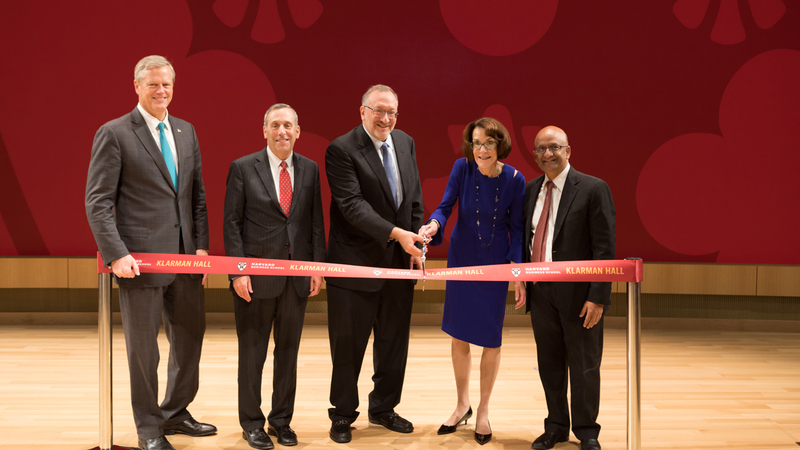 From the outset, Klarman Hall’s plans called for a design that would express the School’s unique ability to attract and inspire individuals who believe in the power of management and management education to improve societies and change the world. The building conveys a sense of openness and welcome. 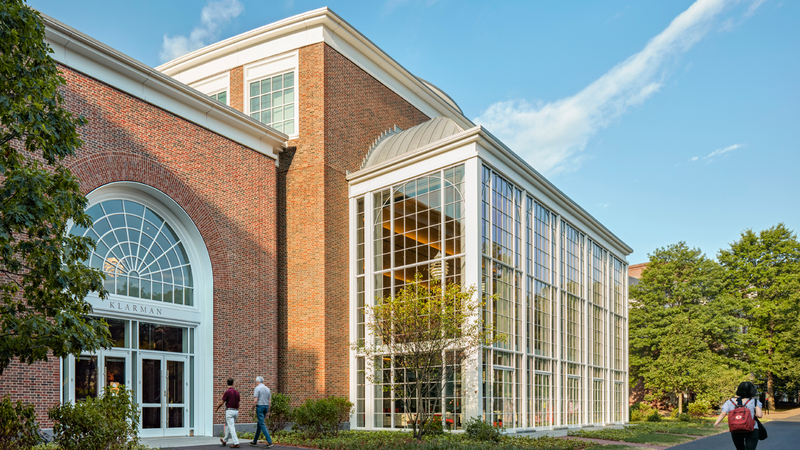 The entrances along the pavilion and green into the glass-walled atrium provide a direct visual connection between the interior of the building and the campus, inviting community members and visitors to enter a shared gathering area. Two additional entrances face south, embracing the Boston area and Harvard’s future—including the science and engineering complex along Western Avenue—in Allston.